We can connect you fast with reliable providers at the best prices. We now offer residents in Texas electricity at great rates. Save 15% with the Lite-Up Texas program. Call us now to start saving or get a quote! We can get your electricity turned on fast or switched over with no interruption. *Prices and promotions differ among carriers and states. $21 price is for a Lifeline government assisted basic plan in most states. Check pricing in your area. 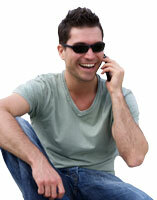 Get a wireless handset and a 1000 minute plan and pay nothing! *Promotions based on Lifeline qualified customers (low income households). Promotions will vary based on state and carrier. $21 for basic government assisted landline plan in most states. Expert Phone is a utilities marketing company that can connect you with residential telephone service from premium, trustworthy providers. We will find you the best plan and price in your area and get you connected fast! We can connect you with cheap residential telephone or a Lifeline government assisted plan, or even a government free cellular plan. Order now or	check pricing and availability for your area right from our website or call us on our Sales Hotline to speak with a sales associate. Expert Phone and the americandialtone.com website is an independant utilities marketing company and is not owned or operated by American Dial Tone, Inc. Copyright © 1998-2019 Expert Communications Marketing Inc. All rights reserved.